Malayalam superstar Mammootty's biopic magnum opus historical film Pazhassi Raja, directed by ace director Hariharan and scripted by literary giant M.T. Vasudevan Nair, is being dubbed in Tamil with the same title and has been scheduled to grace theatres across Tamil Nadu on August 15. To be simultaneously released in Malayalam, Tamil,Telugu and Hindi, the movie, according to the makers, will be the biggest release ever in the history of South Indian cinema with more than 200 prints in the circuit. Malayalam. Thilakan dons the role of king Kurubranaad, who revolted and plotted against Pazhassi Raja. Jagathy Sreekumar dons the role of Kannara Menon, an employee of the British Government. Padmapriya and Kanihaa (also spelt Kanika) are the heroines. 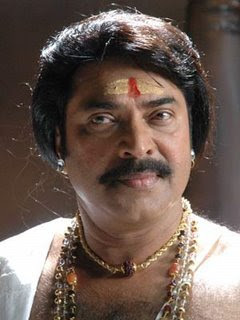 Produced by Gokulam Gopalan under the banner of Gokulam Films, Pazhassi Raja is made with the biggest-ever budget for a Malayalam movie, rumoured to be more than 20 crores. Manoj K. Jayan, Peter Handley Evans and Harry Key play pivotal roles in the film which has music by maestro Ilayaraja and songs penned by poet O.N.V. Kurup.